Ford already announced the arrival of its all-electric full-size pickup truck. Today, the best-selling nameplate was spied plugged into a charger. 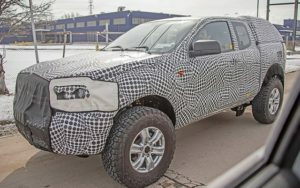 Based on the spy photo, the 2021 Ford F-150 EV will feature a charging port on the lower portion of the front bumper, which means that batteries sit exactly underneath the cabin. The prototype also shows a tailpipe at the rear, but don’t be confused by the detail because Blue Oval wants to trick us with this qua plug-in hybrid model. No, the exhaust tip is definitely fake and we’ve figured out that thanks to the slightly higher ride height of the pickup truck. The additional inches from the ground are necessary for battery storage. 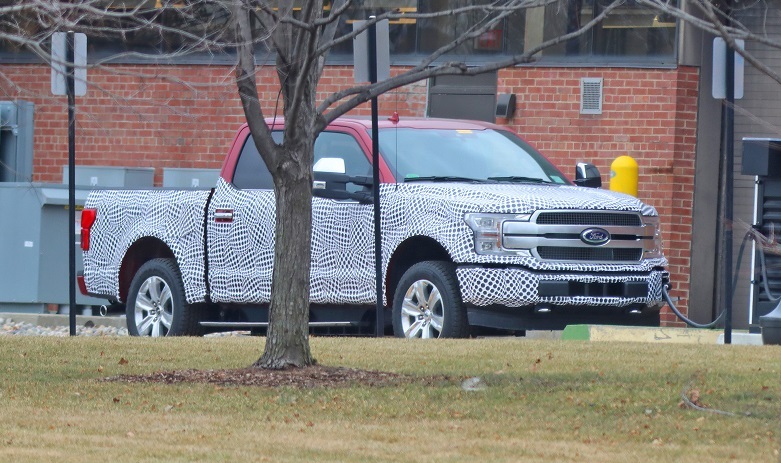 Unfortunately, at this point, we don’t have any additional information regarding the 2021 Ford F-150 EV. However, it’s quite clear that the American bestselling vehicle has to outmatch the only rival that has been made so far. We are talking about the R1T pickup of course; the only available electric truck at the moment. The impressive EV is capable to travel 250 miles on a single charge and it costs just $69,000. 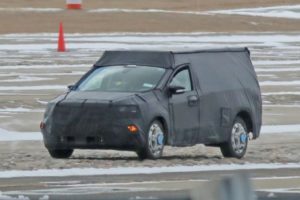 Still, truth to be told, by the time the completely electric F-150 arrives, another startup company that’s known as Workhorse Group will introduce its W-15 truck.